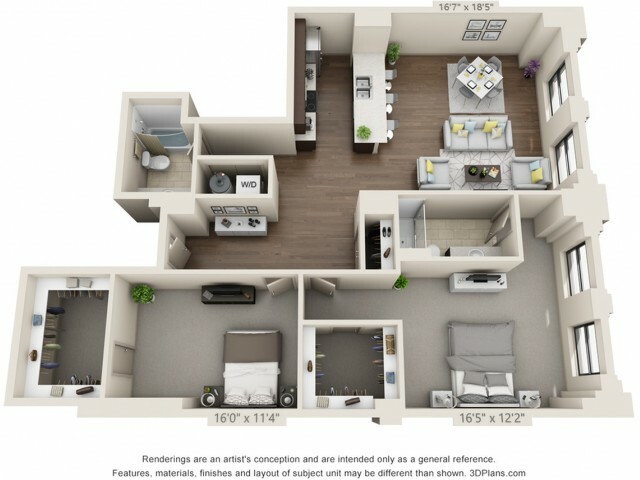 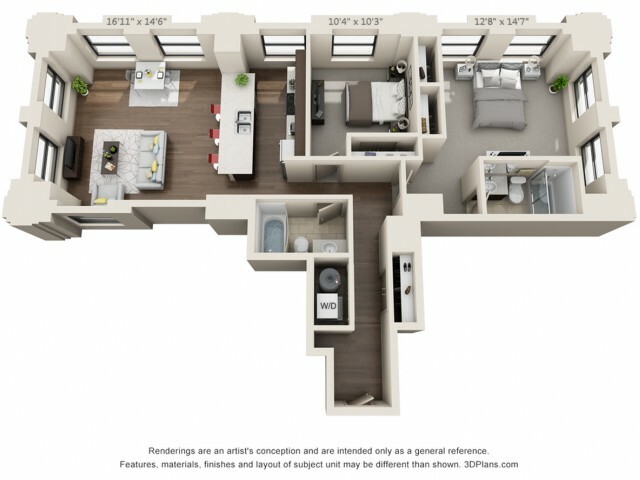 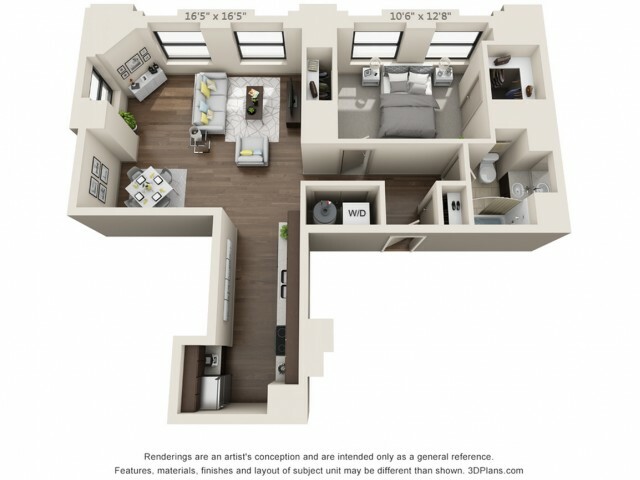 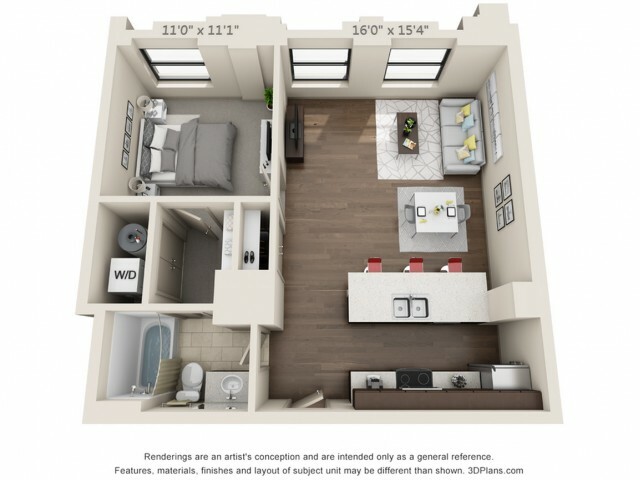 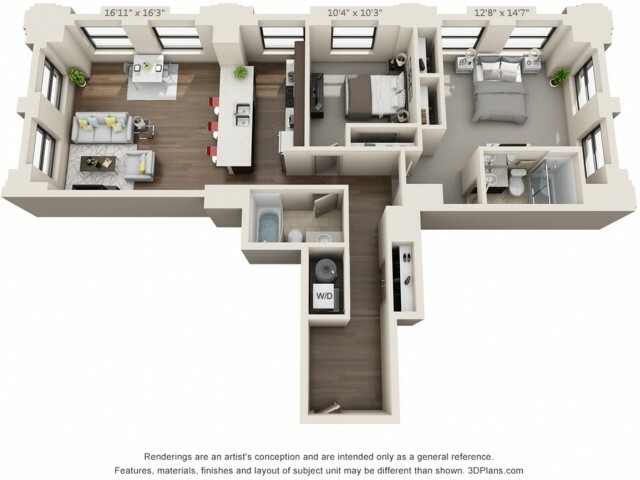 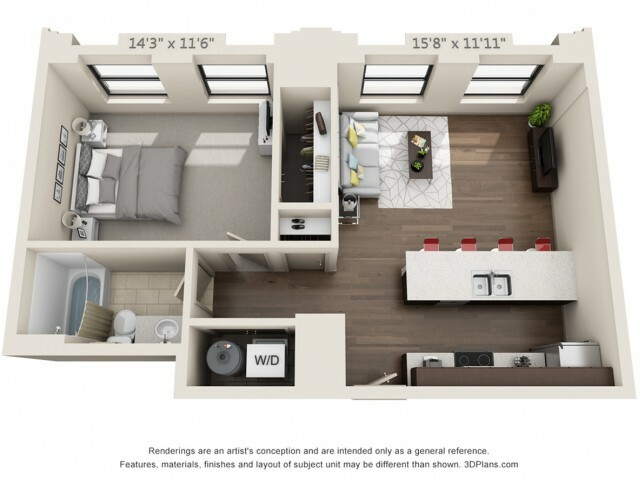 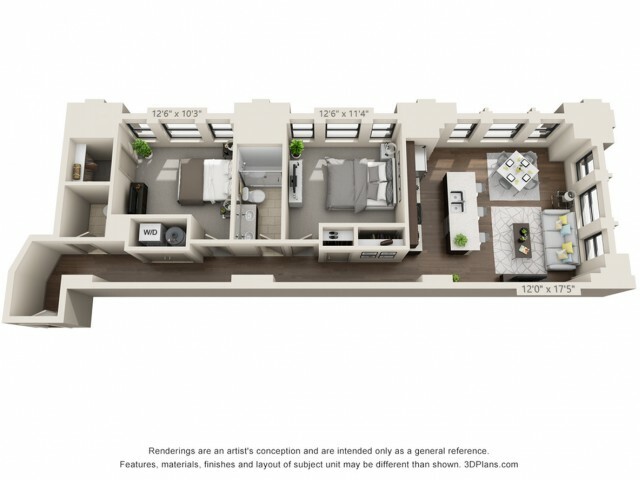 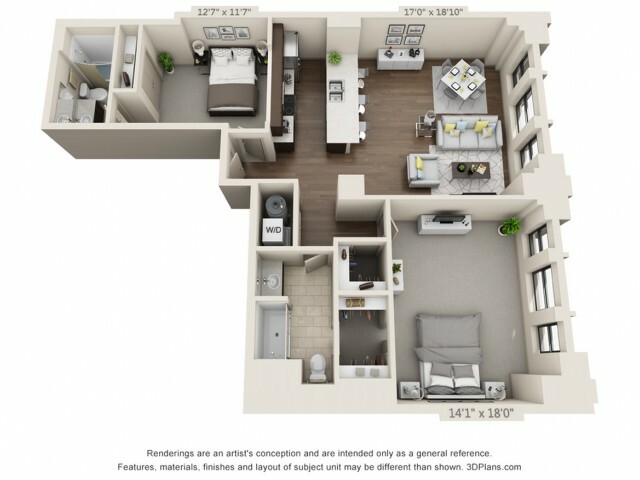 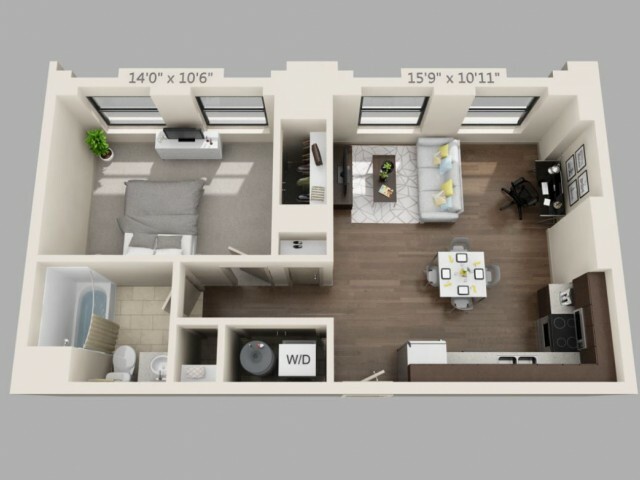 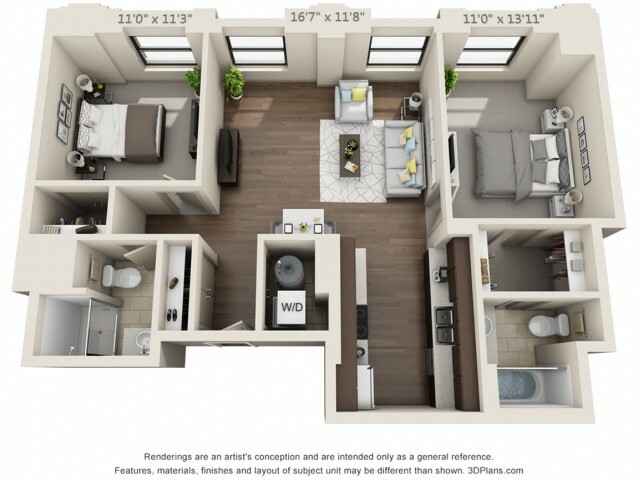 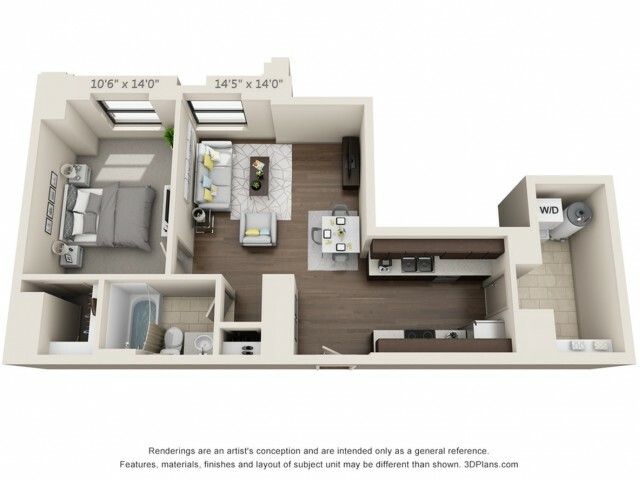 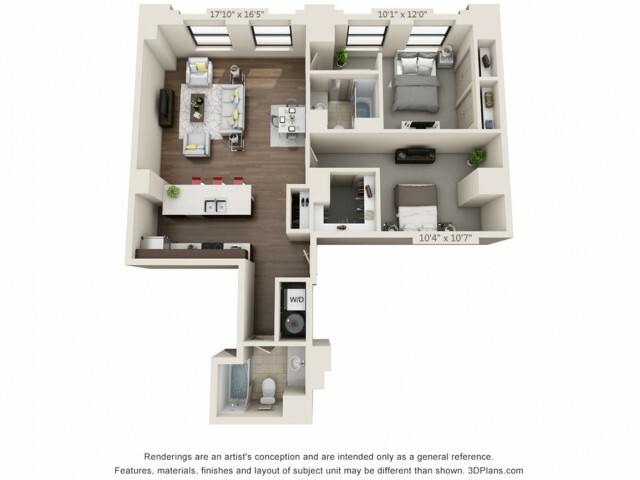 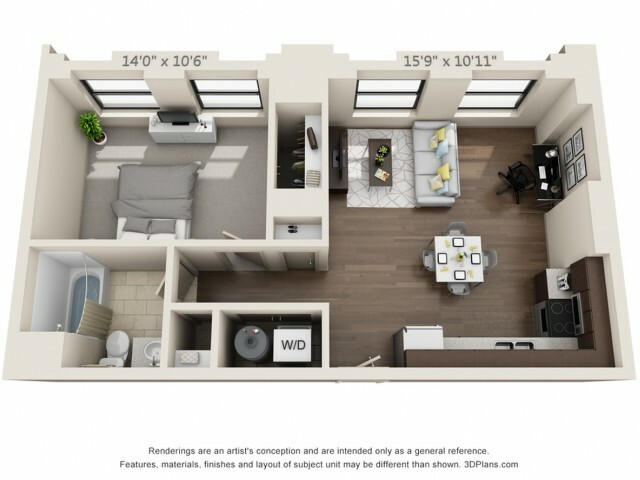 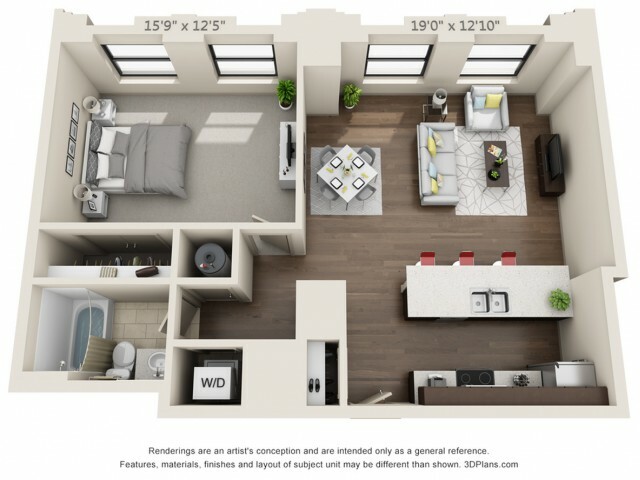 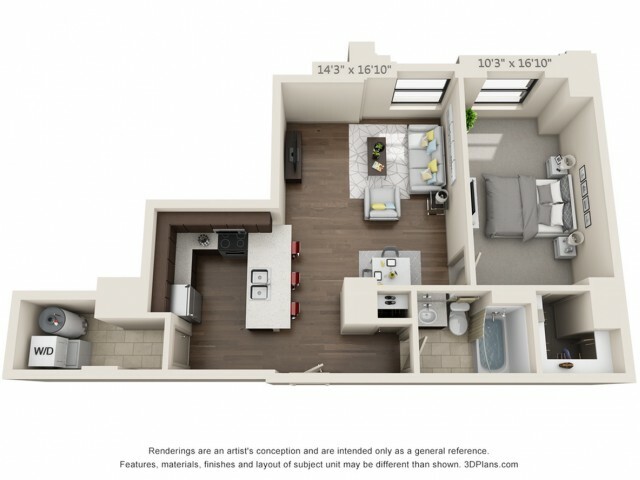 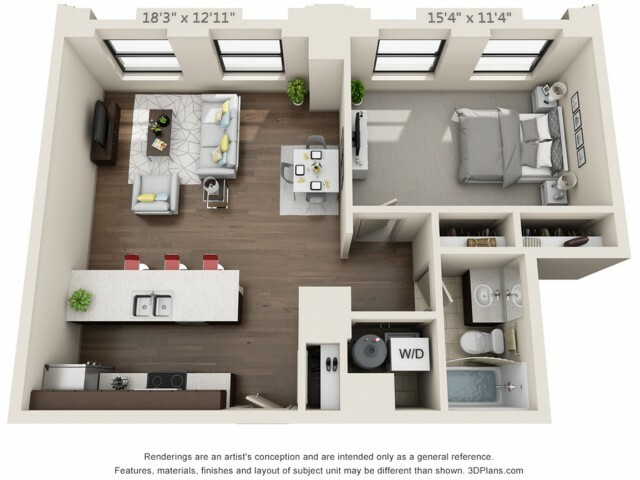 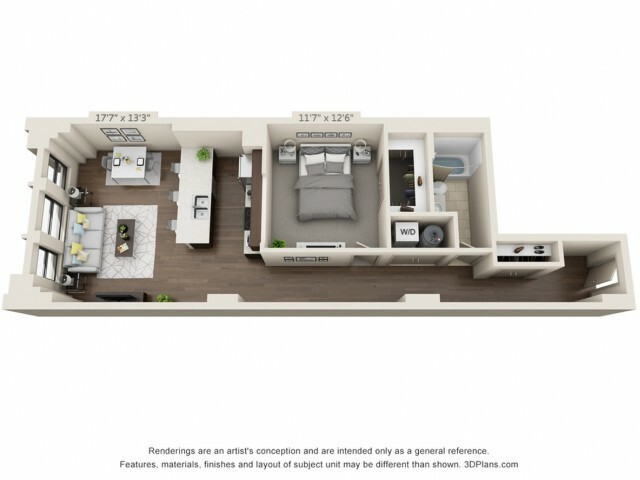 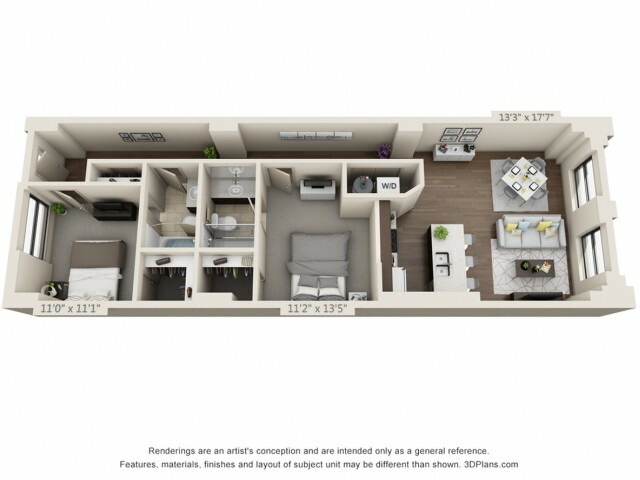 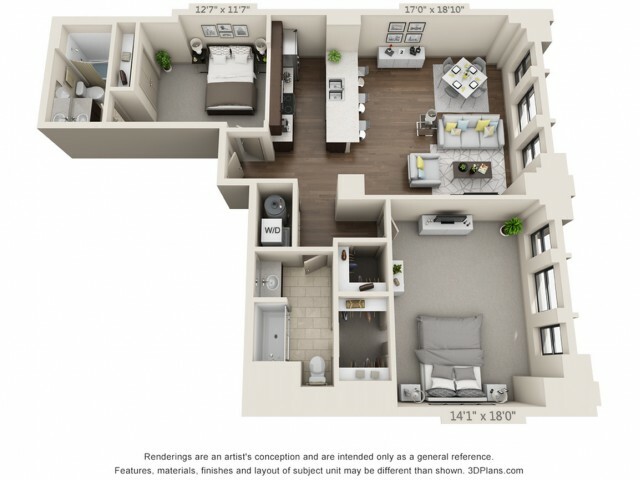 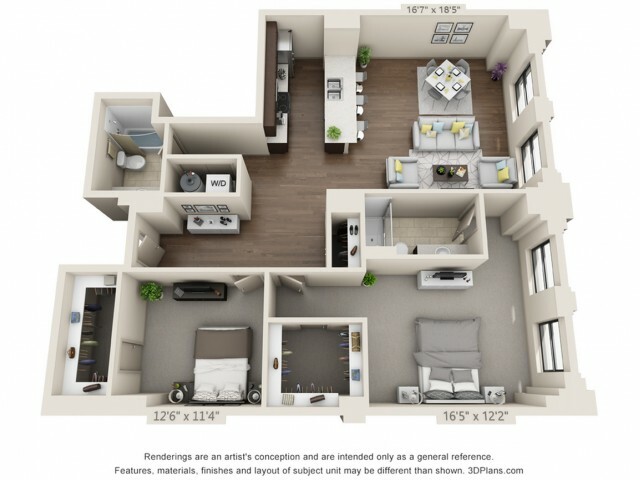 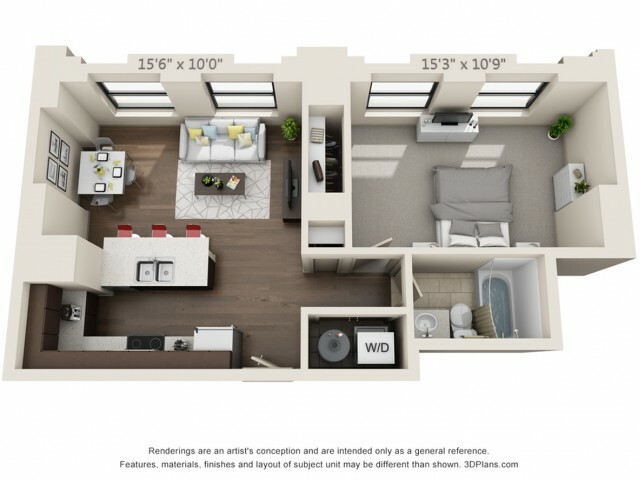 Take apartment living to new heights at The Standard, where you can choose from our unique selection of one- and two- bedroom floorplans ranging from 630 to 1469 square feet. 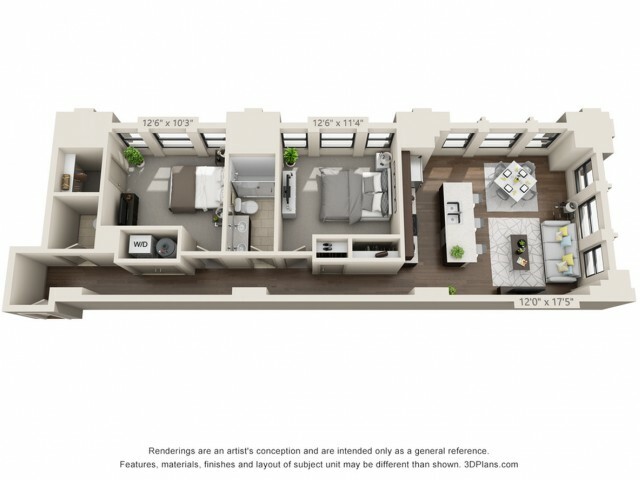 Our homes boast impeccable design and historical charm with design details that have been preserved from the original 1920s-era building.  Come home to the perfect blend of modern convenience and historical distinction at The Standard. 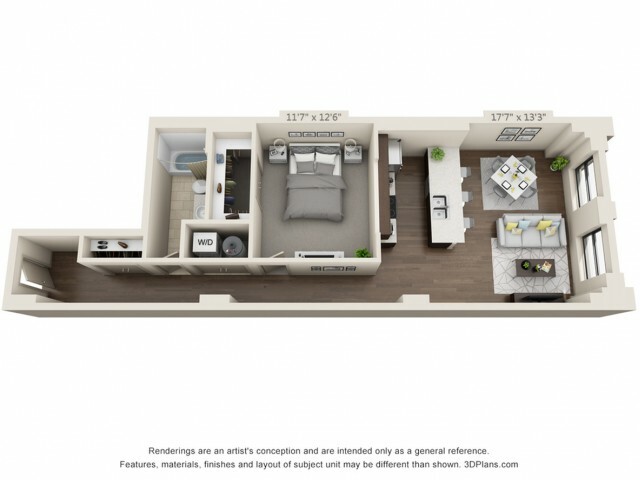 Each home is expertly crafted to meet your living needs. 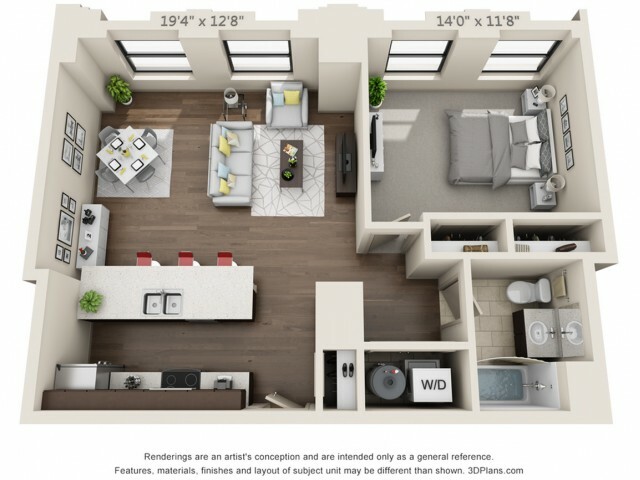 Gourmet kitchens with quartz countertops, energy efficient stainless steel appliances, and a kitchen peninsula ensure you have everything you need to cook like a pro. 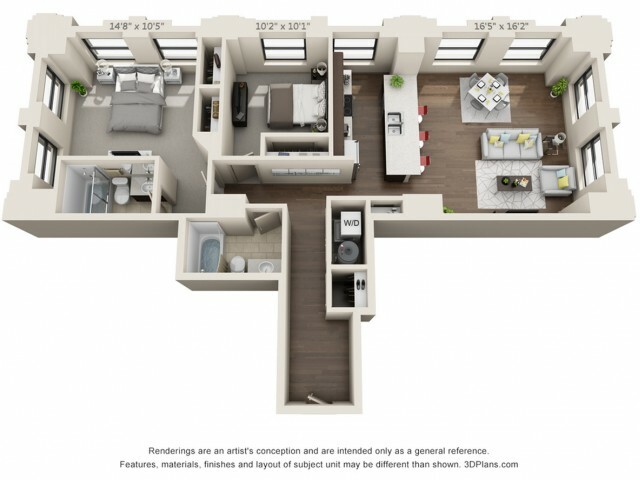 Open-concept living meets the future with programmable thermostats, keyless fob entry, and USB outlets in select locations throughout the home. Other features like in-suite washers and dryers mean your living experience is customized to your lifestyle. 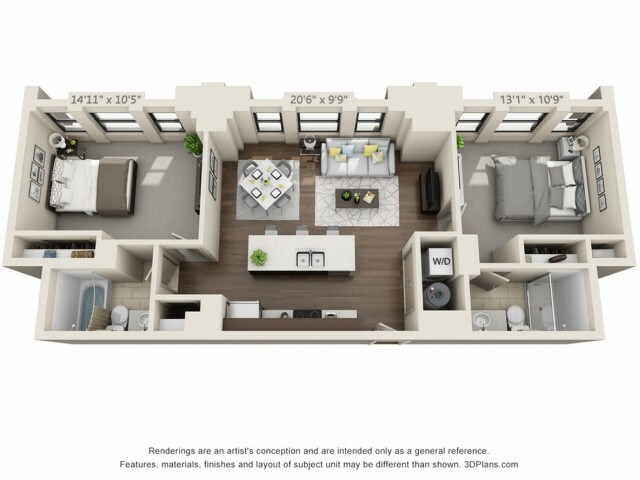 Take a private tour today to experience our available homes and find the space that's right for you.